The Astrodome has just been added to the National Register of Historic Places, but its fate remains up in the air. 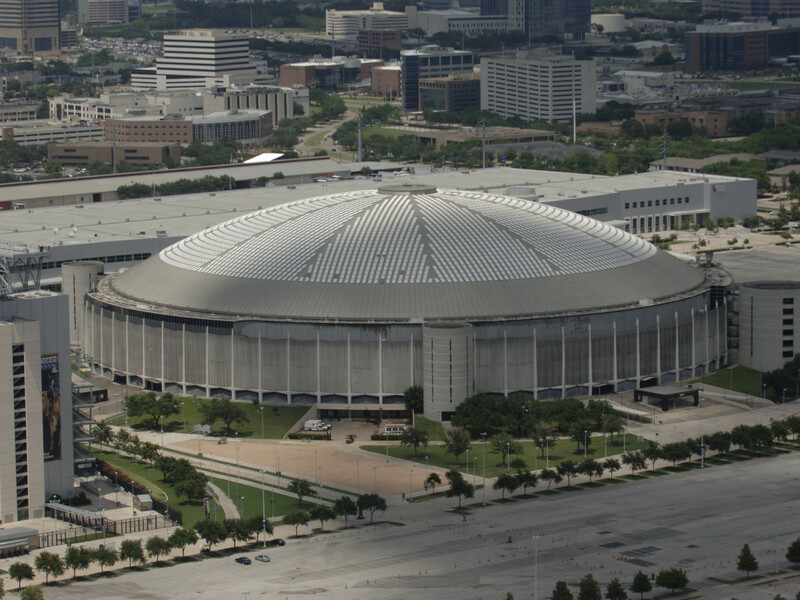 The designation by the National Park Service, which occurred on Thursday, will not block the county from demolishing the world's first domed athletic stadium, Joe Stinebaker, spokesman for Harris County Judge Ed Emmett, told the Houston Chronicle. He said it does, however, open up certain federal and state tax incentives if the structure is rehabilitated. "Remember, once the Astrodome is gone, it’s gone forever," says Houstorian founder James Glassman. "We'd say, 'Hey, great!' but it doesn't impede our ability as far as demolition goes," Stinebaker said. "The Dome's status is in limbo. No decision to demolish it or rehabilitate it has been made." Ted Powell and Cynthia Neely, both private citizens, applied for the Astrodome to be included in the National Register of Historic Places, the official list of the nation's historic places worthy of preservation. "Authorized by the National Historic Preservation Act of 1966, the National Park Service's National Register of Historic Places is part of a national program to coordinate and support public and private efforts to identify, evaluate, and protect America's historic and archeological resources," according to a description on its website. The duo are now working to attain landmark status for the structure from the Texas Historical Commission, effectively blocking the Dome from being demolished. The designation from the National Register makes it eligible for the state list. This past November, 53 percent of Houston voters voted against a proposed $217 million bond issue to redevelop the structure. Since then, Harris County Commissioners Court officials have been pondering what to do next with no clear consensus in place. James Glassman, founder and director of Houstorian — a site dedicated to preserving Houston's cultural and architectural history — said that the tax incentives provided by the new designation could attract an investor to the project. Moreover, he believes that the recognition "keeps the Dome center stage and reminds our community of its importance." "Remember, once the Astrodome is gone, it’s gone forever," said Glassman. "Let’s take our time and find a solution the entire community can celebrate, and show the rest of the world that Houston respects its landmarks." Opened in 1965, the 18-story, 9.5 acre structure was nicknamed the "Eighth Wonder of the World." The stadium lost its major clients when the Houston Oilers moved to Nashville in 1997, the Houston Astros moved to downtown's Minute Maid Park in 2000 and the Houston Livestock Show and Rodeo moved to Reliant Stadium in 2003.